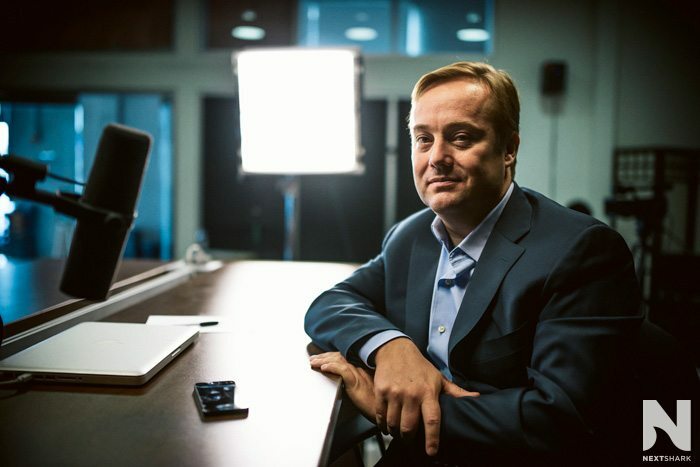 Anyone who follows the tech industry most likely have come across the name Jason Calacanis. In terms of being an entrepreneur, it’s safe to say that this man has gone through literally all the ups and downs of starting a business. 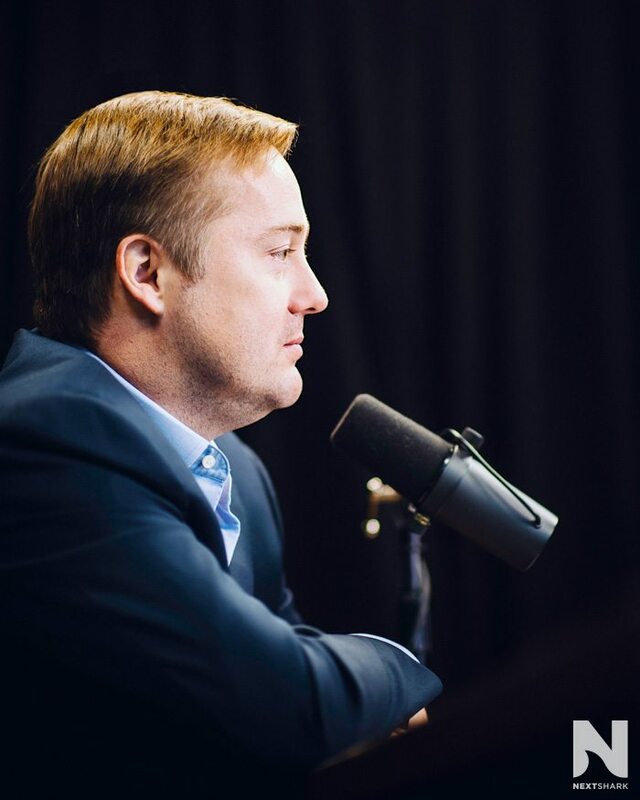 After building a business valued at $70 million from nothing in the late 1990’s, outside factors led to its quick collapse and Jason was left with no options, but to start all over again. In 2003, Jason founded Weblogs, Inc., a company that funded by billionaire Mark Cuban, which was subsequently sold for a reported $25 million to AOL in a mere 2 years. This would be one of Jason’s most notable achievements to date. Since then, he has balanced his time between his various other ventures including Mahalo.com, a “human-powered search engine”, ThisWeekIn.com, an online video network, and his latest project Inside.com. Most recently, Jason’s name has been coming up a lot across the YouTube community after posting a blog post explaining why he turned down funding from YouTube and why its current ad model is not sustainable. I recently had the pleasure of sitting down with Jason for an interview at the Inside.com office. In this exclusive interview, we go over how he chooses which startups to invest in, whats wrong with YouTube’s current ecosystem, and recounts his biggest failure as an entrepreneur. Give me an introduction of who you are and what you do. I’m a serial entrepreneur. I like to build brands so I built some brands in the past like Engadget or AutoBlog or Mahalo or This Week in Startups, and the latest one would be Inside.com which will launch in this fall of 2013. And I also angel invest in companies and I host a podcast called This Week in Startups where I interview people, like you’re interviewing me now. You founded weblogs which was funded by Mark Cuban and subsequently sold for reported $25 million to AOL. In this day and age, do you think online media companies and blogs are bad investments? It’s very hard to scale a blog network today. When we started, there was only one other blog network who was Cocker and they had two blogs. You know blogging in 2003, 2004, and 2005 was largely an individual thing. So it’s LiveJournal or movable type and it was an individual which is blogged and the blogs didn’t even have advertising on them – the idea of putting an ad on a blog was considered antithetical to the movement, it was a personal publishing movement. But then people realized well personal publishing could mean something commercial as well and so our big innovation was to put 10 bloggers together on one blog like AutoBlog or Joystiq or Engadget and then have them blog two-three times a day each. In the past people have blogged two or three times a week and that was really insightful like, “Oh my god this person whom I didn’t know anything about is writing 2000 words a week about their life” and that was fantastic. But having 10 people or five people write about television at TV Squad or movies at Cinematical and these were voices that before that didn’t really have any space in the media. But now they can read what was in the New York Times that day and write their view of it unfiltered. And that was pretty revolutionary that time. What do you think it would take for a blog or media company to succeed in this day and age? Well it really depends on the resources you have versus the competitive landscape and the passion of the team. So there’s a limited amount of highly talented people in the world – they tend to be more sought after and then when people become established it’s very hard to displace a brand. So right now if you have Deadline Hollywood if you want to compete with Deadline Hollywood, you would have to have somebody as good as Nikki Finke and the rest of the people on that team. So you would have to steal them, make them, or find them, and that’s a lot of work and could be a lot of effort. Now before that, there really wasn’t anybody except for Hollywood Reporter and Variety so to compete with that they needed to do something different, and what they did was they found new voices, they grew them over time, and they invested in quality and having scoops and now Deadline gets read more than Variety and Hollywood Reporter in a lot of cases. So that’s the kind of work that it all takes. It doesn’t mean you can’t displace the person there but you have to either have some unique technological innovation or strategy that beats them or you need to have resources and resources definitely means money or distribution or a combination of those things. If somebody were to approach you with a business idea, would their passion and team override what the idea is? Do you know what I’m saying? No. No I mean, as an angel investor you’re going to have a certain number of bets you can place – in my case it can be five a year, 10 a year – I’m going to place them very strategically. I want to see all the things that I need flicked on. So you know, that means I want to be in love with the founder and think they have great passion; I want to be in love with the idea; I want to be in love with the execution; I want to be in love with the market; I want to be in love with the team; I want to be in love with the strategy. What are the projects right now that do you have invested in that you are most passionate about? The one that is definitively the most successful right now is Uber, which is a car service company that I was one of the first angel investors in and it’s done extraordinarily. I’m very privileged to be invested in it. You take out your phone and click that you want a car, a car comes to you and you get in, you get out, and it seems like a very simple idea but when I saw it Travis Kalanick has just executed so brilliantly and flawlessly that they took away four or five of the most painful things about getting a cab – like having to pick up the phone and talk to a dispatcher who is yelling and screaming to a microphone while she or he was talking to you on the phone. Like knowing when the cab is going to arrive because you can see it on a map. Paying the cab driver and waiting 15 minutes for your credit card to clear. Having a good cab driver because you can rate the cab drivers therefore the cab drivers are not going to behave badly because they know they’re going to be rated. Bad behavior on the part of customers was eliminated because the cab drivers rate the customers. Just so many things were made better by the process, well that’s relentless focus on making the product great that it started to get traction and once it have traction a great product, sky’s the limit. You’ve been the talk of the town lately in the Youtube space from you wrote a blog post about why you didn’t want their second year of funding and you also wrote a Youtube Bill of Rights. I know you kind of outlined this in those blog posts already but what would you say is the basic groundwork that all aspiring Youtube stars need to establish in order to see some sort of success like long-term? So there are three different things: there’s Youtube for individual content creators and as a marketing platform and then there’s Youtube as a business worth investing in. Let’s take the first: if you are an artist and you want to get your work out there, there is no better vehicle than Youtube today. Twitter and Facebook and other social platforms – Pinterest – are perhaps better for other verticals actually. There might be one for music that’s better; music, actually Youtube probably is the best, but for fashion obviously Pinterest would be better. Twitter – maybe comedians are better. Anyway, Youtube is essential and awesome for those people. It’s free, there are a billion people there, and if you get even just a couple of hundred people to check out your work and love it, it could turn into thousands, tens of thousands, and in fact millions. But then when you start looking at Youtube as a business – and I’m trying to build a standalone business on Youtube – there are certain things that make it really untenable to production companies and make it really impossible for it to be anything more than the third of the mix; anything more than a marketing tool with a little bit of revenue. And that is the fact that Youtube first has three or four factors. One, Youtube takes a large percentage of the revenue. I can’t say what our deal was, but I’ve had two dozen people tell me – and you have them tell you as well, I’m sure – that Youtube takes 45% of the revenue. Now that’s a large percentage of the revenue – 30% would be a large percentage, 45 is an obscene percentage. Thirty percent is large in the iTunes space and people were pretty angry about that but they’ve learned to live with it. Forty five percent is just… it makes it untenable because if you were to sell an ad, you got a sales team; the cost of the sales team selling the ad might be 20 or 30 percent. That comes off the top number, so let’s just say it’s 15%. Now Youtube takes 45%, 15% has gone to the sales team on the total large number, and now you’re down to only 40% of the dollar – 40 cents is left. Of that 40 cents, if you made a deal with your host or your talent for half the revenue, they get 20 cents of the dollar; the production company has 20 cents of the dollar; the sales would be given 15 cents; and Youtube gets 45%. That’s if there’s no production cost! But we all know there’s production cost. So let’s say your production cost is 50 cents on the dollar. If your production cost is 50 cents on the dollar and you sell a hundred thousand dollars, Youtube takes $45,000, your sales team takes five or ten thousand dollars (we’re making it even just 10%) the sales cost being 10%: $10,000, then you’ve got $45,000 left. But if your production cost was $50,000, now you’re negative $5,000. You’ve lost money! And that’s the issue. If you sell the ads on Youtube, Youtube should only take 10%. So if I came to Youtube with a hundred thousand dollar ad from my advertiser that I had a relationship with and I took $10,000 of the hundred thousand, I have $90,000 left. If the production cost was $50,000, the sales cost was $10,000, I still have $30,000 left to split with the talent but that would still only be $15,000 each. It would still be a hard business, right?